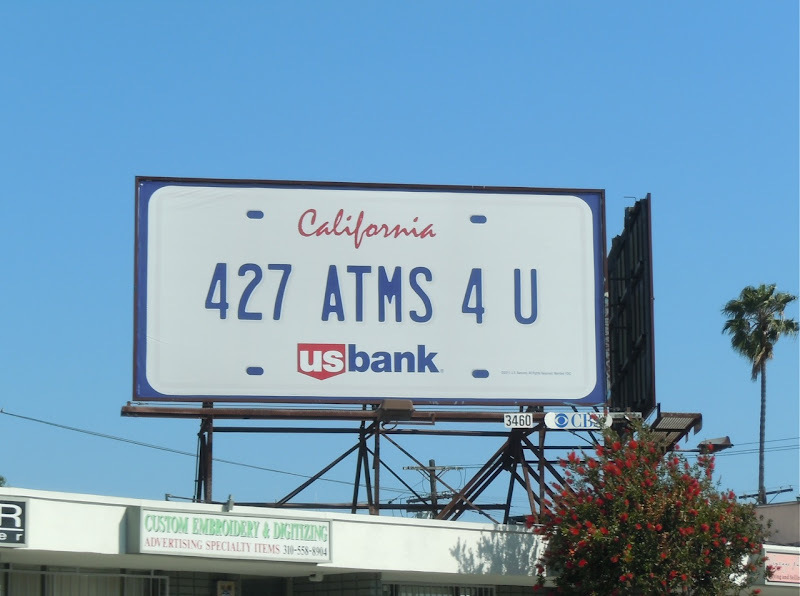 Daily Billboard loves the clever simplicity adopted by U.S. Bank for their latest ad campaign. 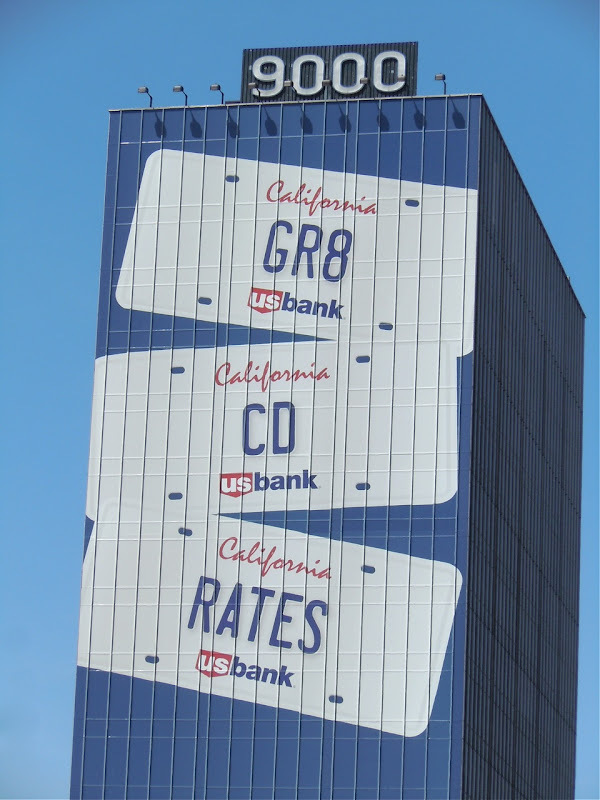 The California motor license plates help give a local flavour for the American bank, which you assume they adapt for the different states they operate within. 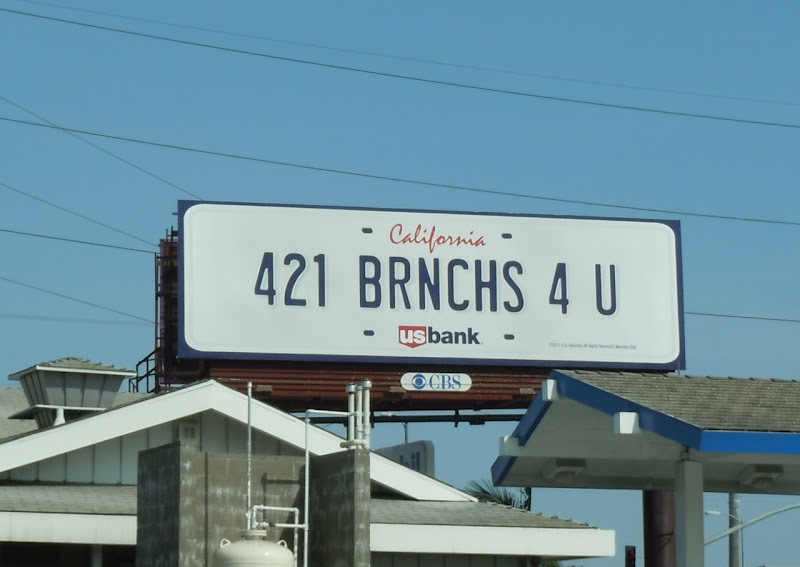 The copy abbreviations fit with license plate theme, but also have a youthful nature to them in this text and tweeting savvy world. 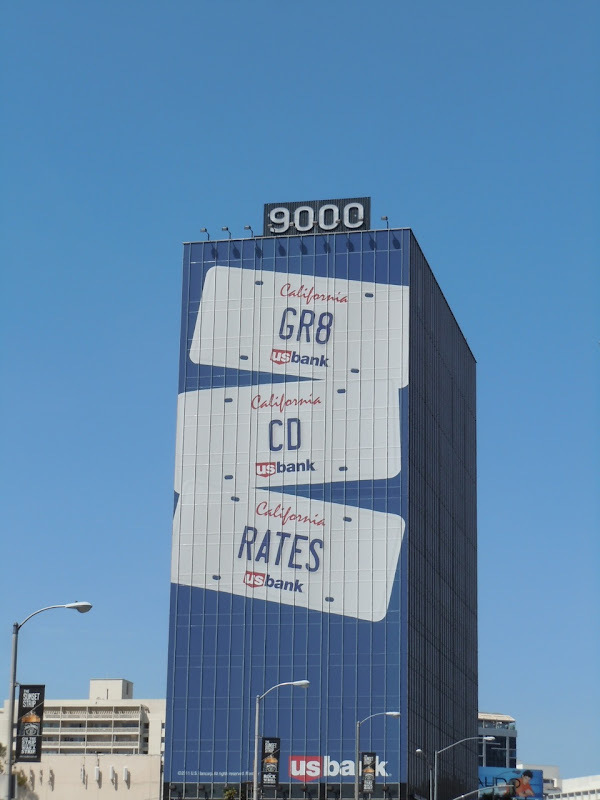 You can see this campaign all around the streets of L.A., but the giant billboard creative was photographed on the side of the 9000 building along Sunset Boulevard, whilst smaller versions were snapped along La Tejira Boulevard in L.A. on April 14, and along La Cienega Boulevard on April 24, 2011.